Many bloggers and writers opt for WordPress because it is very simple to use, it's reliable and there is a great community behind it; always offering support, advice and comfort when you most need it. Yes, that is the way WordPress has grown up to be. But, there are also those who're choosing WordPress for more technical reasons, like the ability to produce large amounts of content, or perhaps the ability to easily optimize your blog for search engines. Everyone has their reasons, but we'll look at those who're into the search engine stuff! Internal linking has been a long-known strategy for letting search engines know about the structure of your website and/or blog. If we were to link to our – WordPress themes – then that would be called internal linking. So, if we were to create a link to the official WordPress site, that would be called external linking; at which search engines look completely differently. Every link on your blog that links back to some content on your domain can be called internal link. They're essential to a good search engine optimization strategy, not only because they help search engines find more of your content, but because there are other factors in play: why are you linking to a particular internal page? Is it because the content is relevant, or it has other uses? This is how search engines index your site, but that's a whole different topic on its own. There are a few methods to take advantage of when it comes to building healthy internal links on your WordPress blog, you can always take a look at other successful blogs and see what they're doing to better index their internal content. Once again, here is an example of how internal links work: if you're in need of WordPress services, please visit the appropriate page to learn more. As you can see, we internally linked the phrase “WordPress services”, and you can do the exact same thing on each of the posts you submit. The thing to keep in mind is that you should add a maximum of 3-5 internal links on each post, and the closer they're to the top of the post – the higher ranking search engines are going to give it. Not only will this help search engines index your site better, you yourself will be able to learn more about your content, and how it comes together with other content that you publish. Breadcrumbs is just that, a way of navigating the site. But, not everyone realizes the benefit of this. You should be able to find plenty of plugins on the WordPress plugin repository for this specific purpose. Breadcrumbs work for everything: tags, categories, pages, content, etc. It makes navigating your blog a breeze! 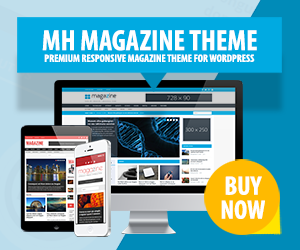 Some of our WordPress themes, for example MH Magazine, also have already built-in breadcrumb navigation. We can start off by installing widgets that link to our previous content, such widgets include: recent posts, popular posts, recent comments, most socially shared posts, etc. This will give search engines (and your visitors) a good idea of what your site is about, and which content is trending at any given time. Every WordPress installation comes with a default widget that allows you to list recent posts. Another thing we can do, is use WordPress menus; which are usually used to list categories, and additional big-impact pages of your blog/website. What is a sitemap? A sitemap is a content index of your website. Google itself has a dedicated page about sitemaps, where you can find links to tools (that is also called internal linking), resources and advice on how to better organize your sitemaps. Many search engines depend on sitemaps for new content updates, and also for changes being made to previous content. You can use standalone WordPress plugins to generate sitemaps, but for example – the SEO by Yoast plugin has an integrated sitemap builder; which automatically starts working once you activate the plugin. Related Content is content that is related to the main topic featured on the page. These links may be manually determined (by the content editor) or may be populated by the content management system based on predefined tags (e.g. a particular issue or region). Links to Related Content are often displayed on a narrow column to the right of the main body copy on the page or below the main content. The most common plugin for this is known as the Yet Another Related Posts Plugin (YARPP), and is free to use, as well as easy to setup. You can, of course, create manual forms and submit related content manually. (Less database queries, and possibly more relevance.) Or you could just choose a WordPress theme which has related content already built into the layout. For certain there are more ways to improve the internal link structure on your website. But we've taken a close look at the most popular ways of constructing healthy internal links on your WordPress website/blog. In my opinion using absolute URL’s is a bad idea – what if you switch domains or re-engineer your URL structure? A simple search and replace might not do the job. Also it completely messes up your development environment. Hi Blossom, this article is about the link structure in WordPress. Using absolute URLs is standard and best practice in WordPress. In addition it’s beneficial for SEO as well. It’s also worth mentioning that when you’re changing your URL structure or move your site to a new domain, then this usually is handled properly with 301 redirects. Internal linking is one of the basics to create an authority site and manage dwell time of your blog. Internal linking is one of the most overlooked factors by webmasters and those who hire writers for content. Internal links help search engines crawl the pages effectively. More than that, it helps to pass link juice from one page to another. As we all know, SEO is not just a setup of title and description. There is a lot of work to do, and internal links are also a very important part of it. Powerful internal links will engage users on your website and show your website in depth. Internal linking is an important SEO technique, it can increase the search engine ranking of your blog posts and also get you more visitors. Thanks for sharing, it’s an amazing guide. Powerful internal links are quite useful when it comes to establishing a strong web architecture & spreading link equity.